"We are excited to offer this additional functionality to our customers. 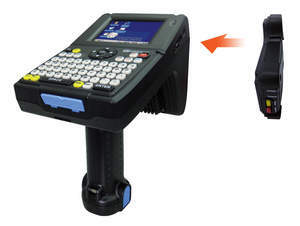 It helps users scan and sync inventory at remote sites having minimal IT infrastructure. This module fits well in our outdoor asset tracking solution set," said Sujatha Bodapati, CEO / Founder, assetpulse. "We have been working on cross-over accessories that will extend the utility of our award winning CS101 hand held reader. Now, we can provide users truly real time data capture and global asset location at an affordable cost," said Jerry Garrett, Managing Director of CSL. The CS501 module is IP65 rated and has a Quad Band EGSM/GPRS with integrated GPS. CSL's suggested manufacturer's end user price for the CS501 module is $495.00USD.